We’re a full month into the new year and with that folks are locking in their digital strategies and goals. The question of the importance of SEO rears its head at least once a year as folks scramble to understand what the channel means to their business and decide what they should invest in the coming year. When given the proper attention the organic channel can be the most powerful weapon in your digital arsenal and every year more and more businesses are realizing this. As SEO becomes less of a black box for companies, the more they will invest year to year, which increases its importance in the marketing space and legitimizes it as a viable, ROI-driving channel. Year after year we have seen Google improving its algorithm and pushing site owners to the point of insanity in the name of the practice, and this year they will continue to push, often in new directions that previously didn’t have anything to do with SEO. How important will SEO be in 2018? More important than it was last year. SEO is a practice that continues to grow, evolve, and innovate. Most importantly, though, SEO continues to invade and influence other channels. What marketers need to understand year to year are the factors that are in play that are driving that growth and innovation. Each and every year these factors are different. However, knowing what they are is equally as important as executing on them throughout the course of the year. Below are the trends we are seeing and thoughts behind why SEO will and should be more important to you in 2018. Over the course of 2017, Google made countless updates to their algorithm. While anyone who interacts with me knows that I am the last person to point to algorithm changes holding any significant importance to your day to day, the way our friendly search giant refers to them is worth taking note. Last October, I wrote a piece on how naming algorithm updates was one of the worst mistakes Google ever made, which you can read here. In it, I wrote that “every update is a quality update,” which is relevant here again because I believe Google has been pushing this same message since late 2016. We aren’t seeing any named algorithm updates anymore (e.g., Panda, Penguin, etc. ), but instead are seeing “quality” updates that happen every few weeks which are impacting an amalgam of signals instead of focusing on one aspect of your site as they have done in the past. You need to take heed of this message because this message will only grow stronger throughout 2018 and into the future. What site owners need to do in 2018 is take that point to heart and move away from this outdated mindset. SEO is becoming more important year after year and those who spend time on increasing the quality and experience of their sites will benefit greatly. This is going to be the year we start to see more emphasis on an experience-centric web, and Google is at the forefront of that evolution. As user behavior trends toward a more immersive and informative web, companies are adopting new technologies, such as PWAs and AMP, to provide that experience. Over the years the idea that users’ attention spans have been diminishing has been generally accepted by the industry, and thus, videos have becoming shorter and content has been broken up into digestible blurbs, which has led to a shallower online experience. Interestingly enough, in 2017 we started to see user behavior buck this trend and start to demand more information and education before being rewarded with a conversion. A lot of this can probably be attributed to the more cost-conscious millennial who is more protective of their dollars and their want to feel connected to the brands they buy from. With that in mind, how do you connect with folks in a more meaningful way on the web? The clearest path is to create a web experience that helps them immerse themselves in your brand and what you are all about. 2018 will see more and more companies adopting new technologies and with that, a new challenge for organic search marketers will surface as people push these technologies beyond their intended purpose and try to get them to produce traffic and conversions. In early 2017, we started to see fluctuations in indexation and crawl budgets, especially for large-scale sites. Every week was a different story, where we would have massive amounts of pages indexed one week, and then see massive amounts drop out the next. Why was/is this happening? The answer is that Google has been sculpting our sites for us and we are going to see them continue to do this throughout 2018 and into the future. We just spoke about a more experience-centric web starting to take hold of our industry. Google, much to the disbelief of every SEO pro, is not obsessed with making our lives more difficult, but rather, is obsessed with providing their users with the best user experience possible. Why do they care about this? Because they want users to continue to use their search engine so they can continue to serve them ads. To ensure that users are getting that A+ user experience, we are seeing Google taking a long, hard look at the types of pages that exist on your site, and placing a more judgmental eye on them. Mainly, we are seeing faceted pages and search result pages that live on your site, being dropped from the index to make way for higher quality “hub” pages such as category pages, product pages, blog articles, etc. Trimming the fat from your site is commonly referred to as “sculpting”, and it’s something that everyone should be paying attention to in 2018. While it’s great that Google is thinking this way, you really don’t want to leave it completely to them to figure out and you should be taking this matter into your own hands. Look at your site and see what pages are most important to you and then see if they are competing with any page on the site. If you believe this is happening, it might be time to consider cutting the other pages out to make more room for them. Google’s John Mueller even said that often having fewer strong pages is better than having many weak ones. This is a trend that is continuing to gain momentum month to month and in 2018 this could be something that will make or break your site, especially if you are a large-scale retailer with a lot of faceted pages and search result pages. This is also another trend that speaks to an increased awareness of the quality of your site and its content. You always want Google to find the highest quality pages on your site, so you might as well take control and tell them where they are. Earlier we mentioned user behavior trending toward the desire for more information and education leading up to a conversion. While more users, especially younger ones, are moving in this direction it changes the perception of what longer-form content can be. Historically long-form content has been seen and used as early-stage content to entice new users to visit your site by answering a question or addressing a broad topic that your product or service solves. It was never meant to aid in a hard sell, but rather, position your business as a thought leader in that space and plant the seed that you can help solve the user’s problem. 2017 saw a change in users behavior and interactions with this type of content. The user who is looking for more education around a subject before they buy a product associated with it has actually helped transform long-form content into more of a transactional vehicle than it’s ever been. In 2018, we will continue to see this trend as more and more folks seek more information and education before spending their dollars and the companies that recognize this trend and engage with their users in this way will win big at the end of the day. So, How Important Is SEO in 2018? Google is looking to index and rank higher quality pages. Users want a more immersive online experience. Google is pushing an expanded focus on the user’s experience. Users are looking for more information and education before making a purchase. These trends suggest bigger than ever because they are more focused on the user than ever, and ultimately the user and their experience is what we should all be caring about. If we do that, it will mean more business, more conversions, and a longer, more meaningful relationship with our users. Screenshot taken by Patrick Reinhart, January 2018. 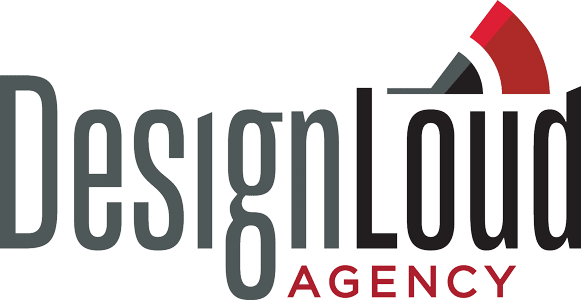 DesignLoud is a web development & digital marketing agency located in Wilmington, NC. Our team takes great pleasure in teaching others how to build and market their websites to see higher returns.